Have Rangefinders Changed the Hunting Industry? The development of rangefinders in the 1990's is actually similar to the development of video camera technology in the 1990's. Many people did get excited about camcorders during the 1990's. People who had a middle class income could now afford the sort of equipment that was once associated only with Hollywood film directors. The 1990's was a time of hope for the future on a broad cultural level, since the Cold War and its associated anxieties had finally ended, and the new millennium was on the horizon. It was the first decade of the Information Age, and the possibilities of these novel forms of technology left a lot of people stunned. Technology like rangefinders fit right into the narrative of futurism that had become so popular in the 1990's. The 1990's was a time of science fiction revivals, and people were talking and thinking about new technology all the time. Many people rushed to purchase the new rangefinders that had hit the market. They had the same enthusiasm as the people who rushed to buy camcorders. Of course, rangefinders were more niche. However, the sentiments were still the same. Hunters looked forward to being able to get a sense of where their targets were from far away. Previously, they would have to use unreliable traditional methods that would leave them at risk for losing their targets or even getting injured themselves. Rangefinders offered a way out of that. However, the 1990's rangefinders were bulky and too awkward to really use in the field. People sometimes made so much noise with them that they lost their targets. They failed to live up to the expectations of hunters. Tiny factors could interfere with the quality of the information that people got from the rangefinders. While hunters usually try to do their own estimations, hunters that actually relied on the information from these old rangefinders would often be led astray. However, the demand for these rangefinders helped fuel additional developments in the industry. So many hunters purchased them that the people involved were able to recognize that rangefinders were lucrative products. The popularity of camcorders helped lead to the development of widespread video technology in smartphone devices. Similarly, the demand for rangefinders in the 1990's helped create the excellent, streamlined, and accurate rangefinders of today. In the hunting industry, there has always been a tension between the people who prefer old school methods of hunting and the people who like to use new technology in the pursuit of their targets. Some people argue that the new technology robs people of the purity of traditional hunting. 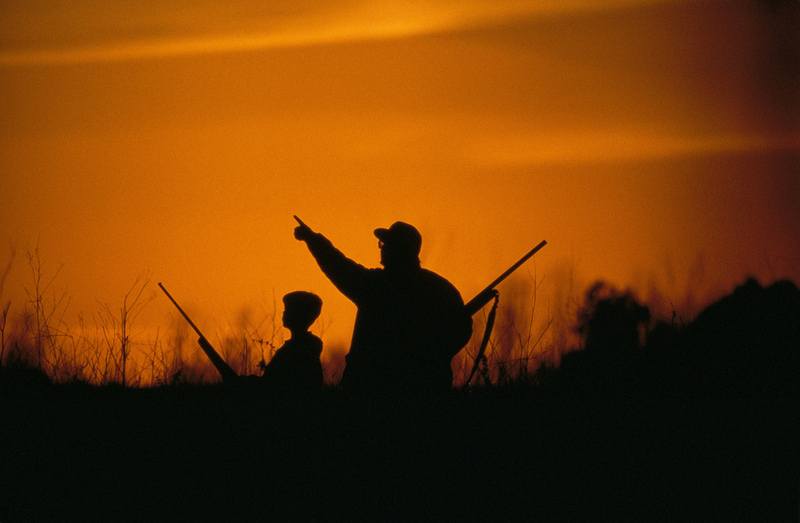 Many people in the hunting world believe in getting back to nature. However, big game hunting is an industry and not just a hobby, and the people who depend on their kills for a living will favor anything that gives them an advantage. These people voted with their dollars and helped encourage the development of better rangefinders. It's hard to overstate just how much of a difference modern rangefinders have made. Hunters can now shoot their targets with more accuracy than anyone would have been able to achieve without the requisite technology. The rangefinders are small and light, so people aren't going to run into problems just from the rangefinders themselves. The rangefinders of today have the accessories to really help people track a wide range of different targets. The ranging distance is broad, so people can more easily target creatures that are very far away. The processor within the rangefinders is very fast, making it that much easier for the rangefinders to react to changes in the terrain and the movements of the target. These are rangefinders that are really made with the needs of hunters in the field in mind. Today, there are rangefinders for people at all skill levels, so it is easier for people to enter the field. People used to spend years of training in order to even come close to being effective hunters. Today, people just need to train on the rangefinders and it's going to be that much easier for them to adjust to the difficulties that they will encounter in the field. More people can become hunters and more people do become hunters. Rangefinders have made the hunting field more diverse. There are lots of different rangefinders now, which creates opportunities for the technical people who are getting involved with the field. Rangefinders have made the hunting industry more profitable directly and indirectly. The people who hunt for a living are much more likely to catch their targets and terminate their targets cleanly. Rangefinders have created more hunters. More importantly, they have created more skilled hunters. Read this article if you want to read some great tips on what to do before your next hunting trip.